Among the treasures of El Pueblo Historical Monument is this masterpiece by David Alfaro Siqueiros. 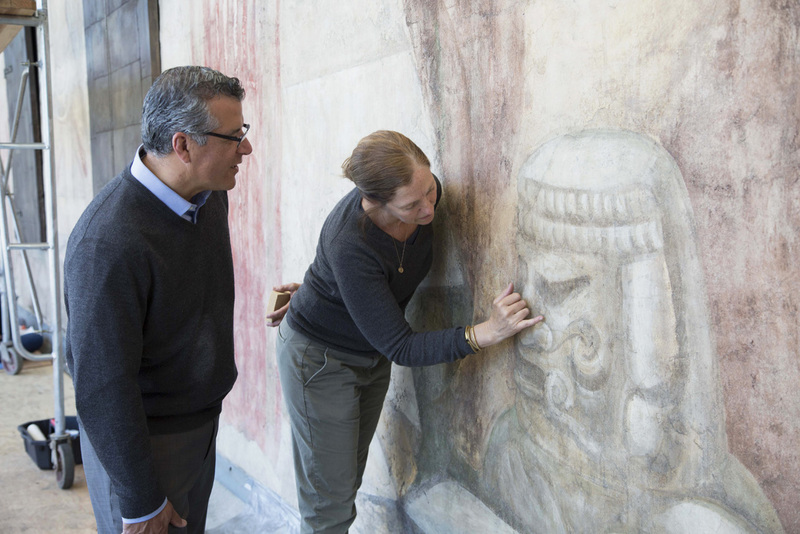 Since its re-unveiling in 2012, thousand of visitors have viewed the conserved mural. 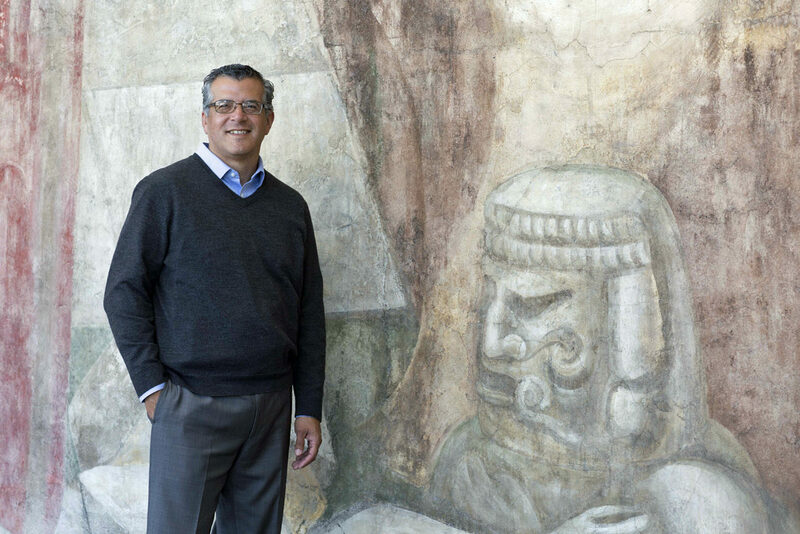 Chris Espinosa, general manager of El Pueblo de Los Angeles Historical Monument, reflects on visitorship and lasting benefits from the re-emergence of América Tropical, five years after the project to conserve the mural was completed and on the occasion of its first post-conservation cleaning last month. —Ed. 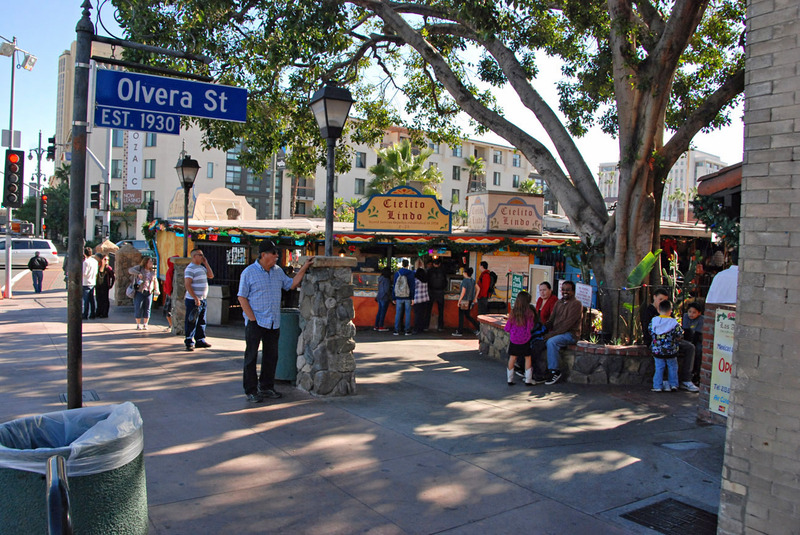 El Pueblo Historical Monument, in the heart of downtown Los Angeles, is widely known for the color and energy of Olvera Street. The Mexican marketplace was launched on Easter Sunday in 1930 by Christine Sterling as a vehicle to preserve and enhance the city’s historic birthplace. Her efforts started with the renovation of the beautiful Avila Adobe (1818), and approximately two decades later, extended to the creation of a district of 27 historic buildings and surrounding public space acquired under the California State Parks system. Among El Pueblo’s treasures is the Mexican masterpiece América Tropical by David Alfaro Siqueiros. The mural was commissioned in 1932 during the formative years of Olvera Street. The assignment was to paint an idealized tropical scene at a second-floor entrance connecting to a beer garden and art gallery. Siqueiros instead created a monumental mural depicting an overgrown jungle with a crucified indigenous peasant surmounted by an American eagle, at which revolutionary soldiers aim their rifles. The artwork was immediately controversial; within the decade the entire mural was whitewashed. In 1988, the Getty Conservation Institute began a collaboration with the City of Los Angeles to conserve América Tropical. This led to a study of the environment around the mural and the design of a protective shelter and viewing platform for the public. Eighty years after its creation, América Tropical was re-unveiled to the world and once again accessible to the public. Since opening in late 2012, visitation to the mural has been impressive. Over the last four years, from 2013 to 2016, visitation has averaged over 96,000 people annually. Who do we see? Elementary school children, teachers, senior citizens, college students, international tourists, foreign dignitaries, artists, and social activists. We see locals coming by on a regular basis, showing the mural off to their family and friends. Why not? Admission is free, Tuesday through Sunday, 10 am to 3 pm, and there are crispy taquitos, sugary churros, and cold margaritas close by. Our museum guides increasingly notice that Southern Californians are coming to the site by Metro, Metrolink, and Amtrak. Arriving at Union Station places visitors in the right frame of mind; strolling through the Spanish Colonial Revival and Art Deco structure, América Tropical and the surrounding protective shelter are visible from the station’s entrance on Alameda Street. From there, it’s a five-minute walk that leads you past the historic Los Angeles plaza, and to the narrow paseo to your right. 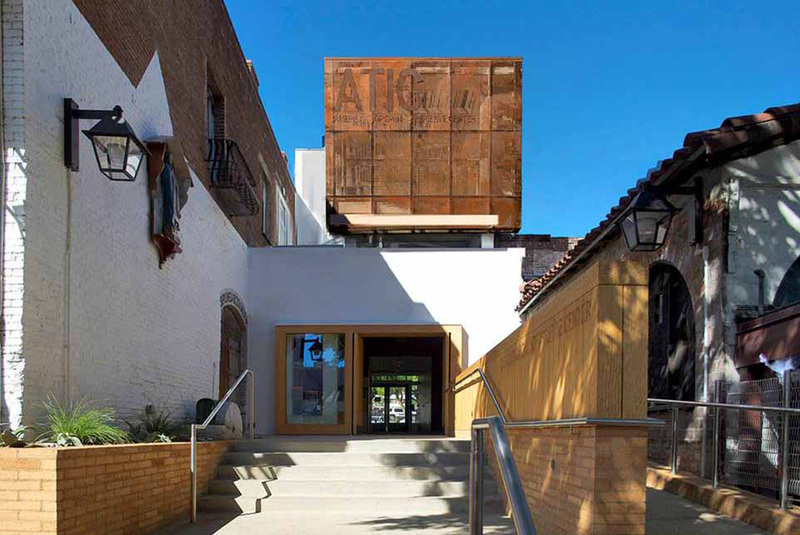 The America Tropical Interpretive Center is located in the heart of Olvera Street. Certain images and visitor reactions stay with me since we’ve opened to the public: our local indigenous dancers and healers engaged in a spiritual blessing prior to the grand opening; packs of children racing up the staircase to absorb the mural from the second floor viewing platform; weeping artists, muralists, and Siqueiros fans, awed by América Tropical’s resilience and powerful message. When I give a tour of the site, I love watching a visitor’s expression as I describe the ironic tale of whitewash as censorship, which later served as a critical protective coating for the mural to withstand decades of sun exposure, dust, pollution, and rain. Historians are not entirely sure who directed the original censorship of América Tropical, but if it was Christine Sterling, don’t forget to say a mental “thank you” to her for unintentionally saving the mural for future generations to enjoy. 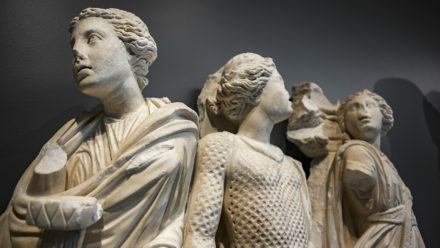 The re-emergence of América Tropical coincides with a wave of new restoration projects at El Pueblo Historical Monument. 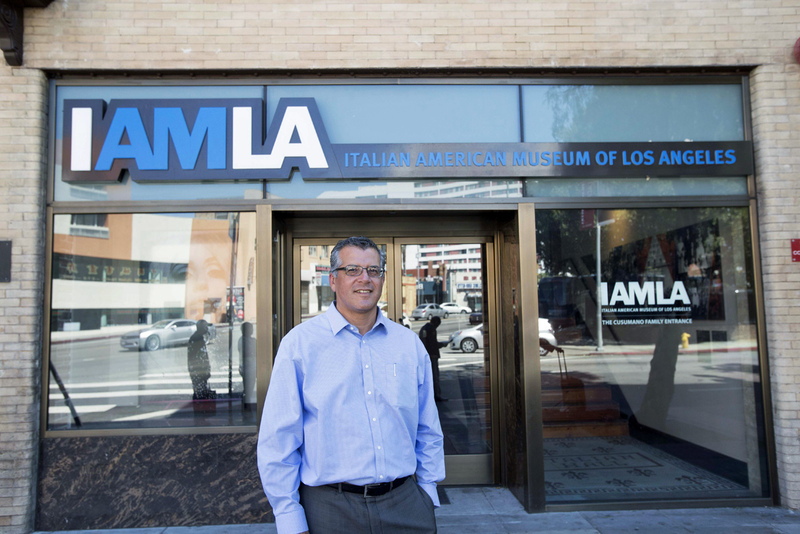 We recently opened the Italian American Museum of Los Angeles. 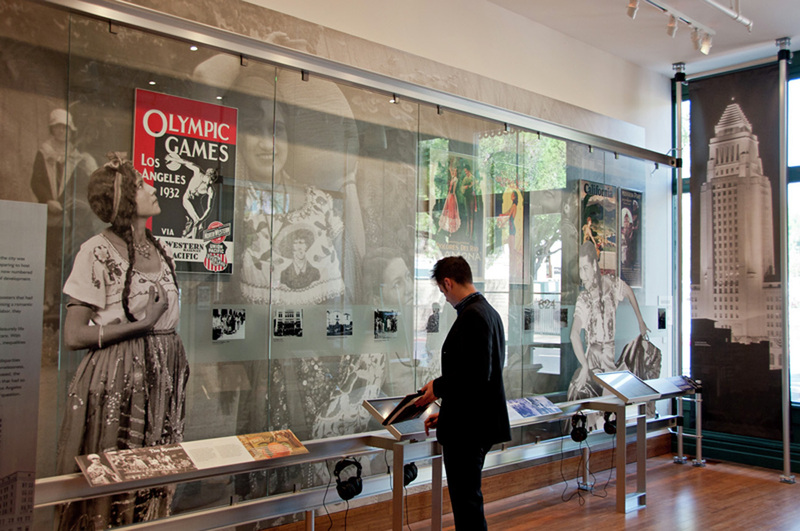 Located in the historic Italian Hall (built in 1908), the exhibit tells the story of the Italian presence in early Los Angeles and the acculturation of immigrant groups in the United States. You may also want to visit La Plaza de Cultura y Artes, a Mexican-American cultural center located in the historic Vickrey-Brunswig Building (1888). The large space has permanent exhibits, rotating art shows, culinary programs, and public gardens. Another excellent site, the Hellman-Quon Building (1900), was recently renovated and contains the Gateway to Nature Center, a joint partnership with the Western National Parks Association and the U.S. Forest Service. 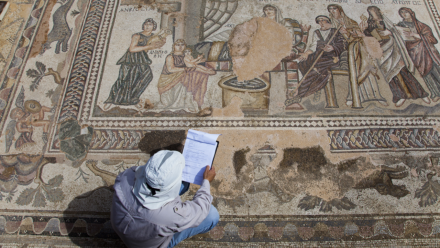 A new “History of Water” exhibit is in the works. While constructing the protective shelter for América Tropical, workers excavated a well-known portion of the Zanja Madre, or mother ditch, a brick-lined pipe used for transferring water from the Los Angeles River to the early pueblo. The zanja dates to the 1880s and will be the highlight in an exhibit concerning the importance of water development and the growth of Los Angeles into a major population center. In short, I am hoping that when you come to visit América Tropical, an artwork that hovers over Olvera Street, you make sure to visit all the nooks and crannies of this old place—from murals on the second-floor walls to the brick pipes snaking underground. Hasta pronto. Text of this post © Chris Espinosa. All rights reserved. I am the General Manager of El Pueblo de Los Angeles Historical Monument. I was appointed by Mayor Eric Garcetti to administer approximately 80 concessions on Olvera Street, operate six museums and two art galleries, and host numerous public events throughout the year. I'm a fourth generation Mexican-American who loves California history and its natural lands.